Cupcake liner flowers are a super cute spring craft that’s filled with flowery goodness! Well, hello February! As we cruise on into this month of the winter season, we know that spring is not too far behind. And what comes to mind when we think of spring? Flowers! Yep, that’s right. Beautiful blossoms peeking out and covering the ground with rainbows of colorful buds! Oh, their beauty is magical, and we just can’t wait! 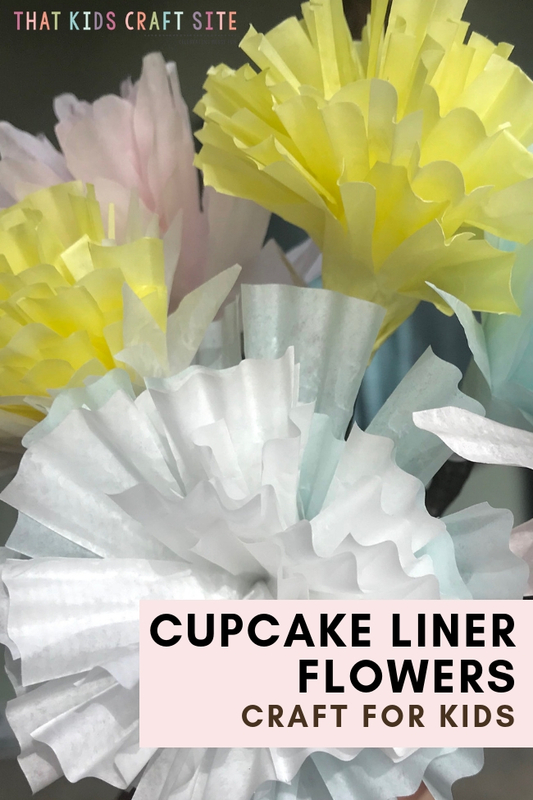 Because our favorite season is right around the corner, we have been inspired to put together these incredible cupcake liner flowers to get spring started a little early. 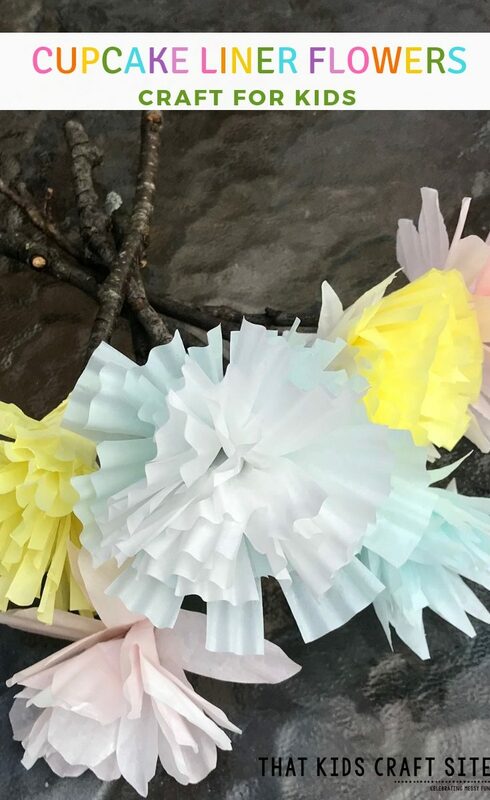 These charming paper blooms are a great way to welcome the coming season in a crafty way. With each handmade cupcake liner flower being as unique as its maker, these pretty spring blossoms will brighten up any day. Not only that, but creating our own flowers means we don’t have to wait another month or two for the real ones to start sprouting! 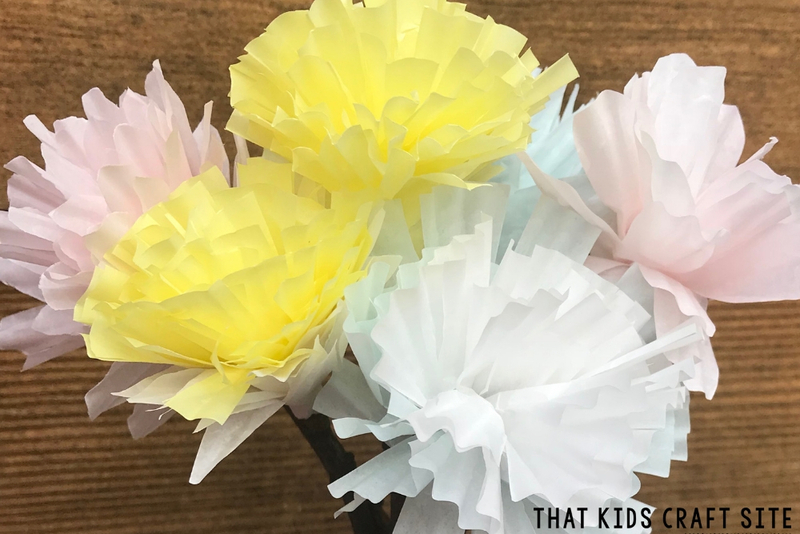 Pleasing to the eye, budget friendly, and easy to make, these cupcake liner flowers are the perfect craft activity for those impatiently awaiting the beauty of spring. Whether you only have time to make a single stem blossom or a whole bouquet, this flower craft project is sure to sprout some happiness. Once created, these beautiful buds can be displayed as a handcrafted decoration, given to a special someone as a holiday gift (hello, Mother’s Day craft! ), or simply made just to make you smile. Little learners will enjoy creating these lovely blossoms with ease, as they are super simple to put together. 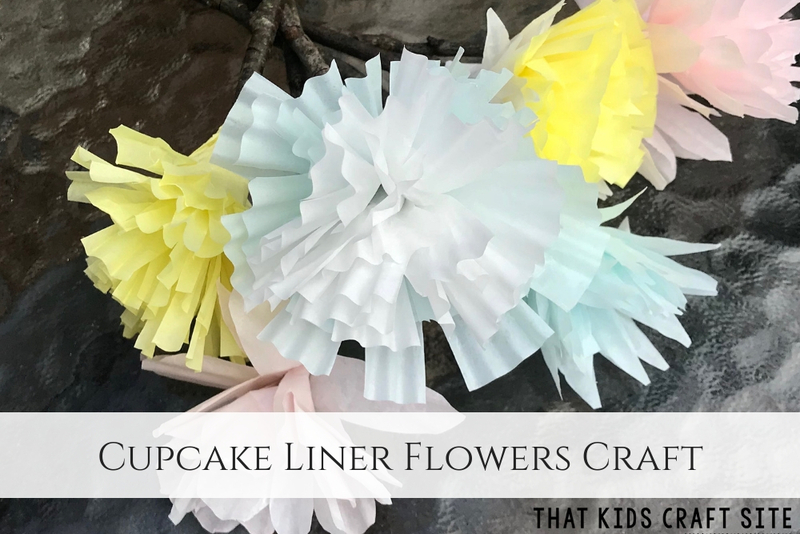 In fact, these colorful cupcake liner flowers are pretty much fool proof, making them a breeze for those teens and adults who find crafting to be a challenge. 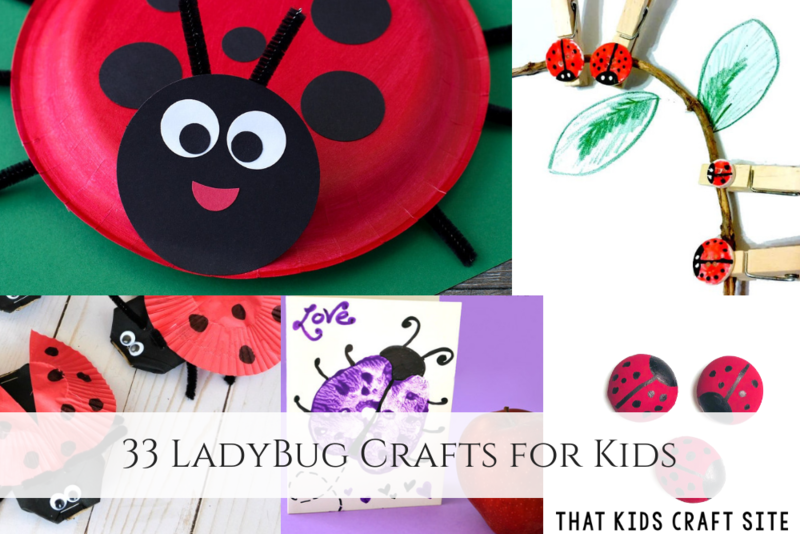 With that said, there is no reason not to give this awesome spring craft activity a go! So, let’s get started! Using about 4 cupcake liners stacked on top of each other, flatten out and cut slits or petal shapes all the way around. You can choose to go around the liners in a circle or fold the liners in halves or quarters to cut the petals. Cut a small hole in the center of the cupcake liners. This is easiest to do with the liners folded into quarters and then cutting off a small piece of the tip. When it is opened, there will be a hole in the middle. Open up the stack of liners and put a twig through the center holes. Add your glue of choice to the top cupcake liner on the twig near the center. Fold up the liner around the twig pressing firmly until glue holds. Repeat with each additional liner. Fold and scrunch the liners up around each other until you have made a flower! The more liners used, the fuller the flower will be. Show Us Your Cupcake Liner Flowers! Did you try your hand at making one? We’d love to see how it turned out! Snap a photo and tag us on Instagram @ThatKidsCraftSite! We can’t wait to celebrate your creativity! Take the Directions for the Cupcake Liner Flowers with You! Want to take these directions with you? No worries! Simply print out the card below with all of the supplies and directions by clicking on the Print button! 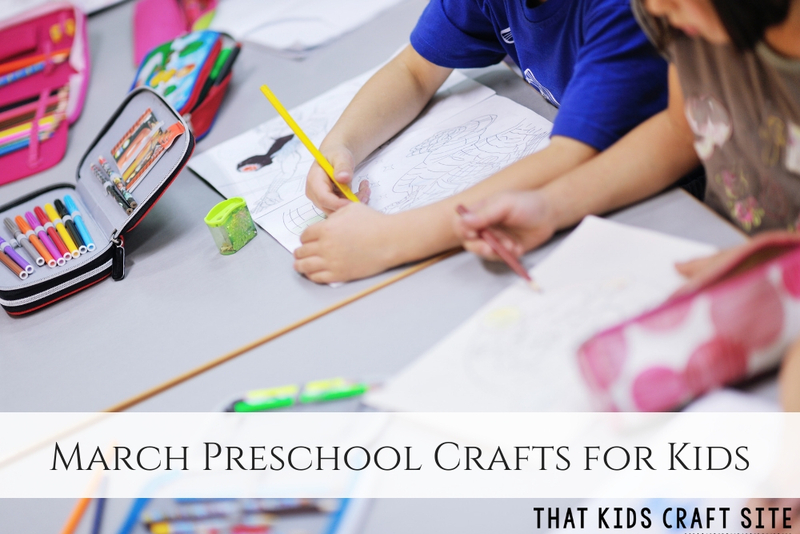 Then you can take them with you to school, your club or scouts, or to your kitchen table where you’ll be crafting. Have a great time! Yield: As Many as You Want! Cupcake liner flowers are a super cute spring craft that's filled with flowery goodness!